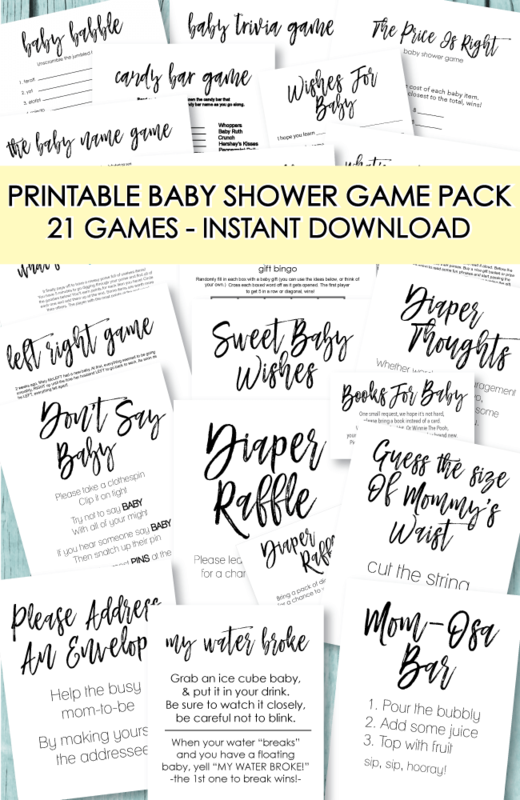 Below are some more ideas for baby shower favors! Many of the ideas are affordable and handmade - making them extra special! A bunch of them have been submitted by crafty readers like you! 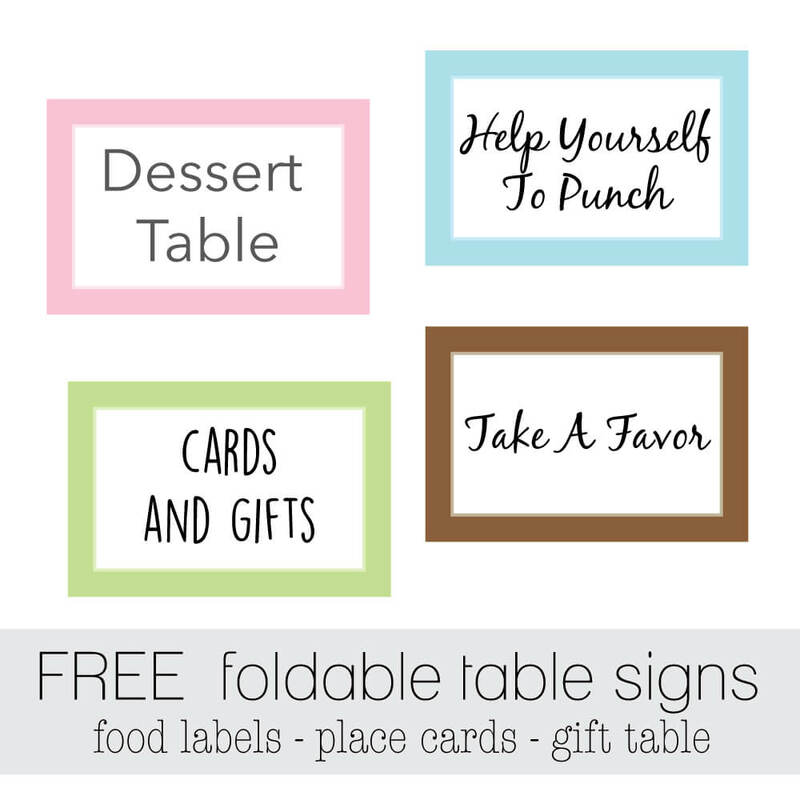 When choosing what favors to hand out, you can make your own, or if you're in a rush, you can always purchase some. More importantly, if you choose to hand out favors, don't forget to hand them out! I once spent hours before the shower making cute potted plants for favors and forgot to pass them out! 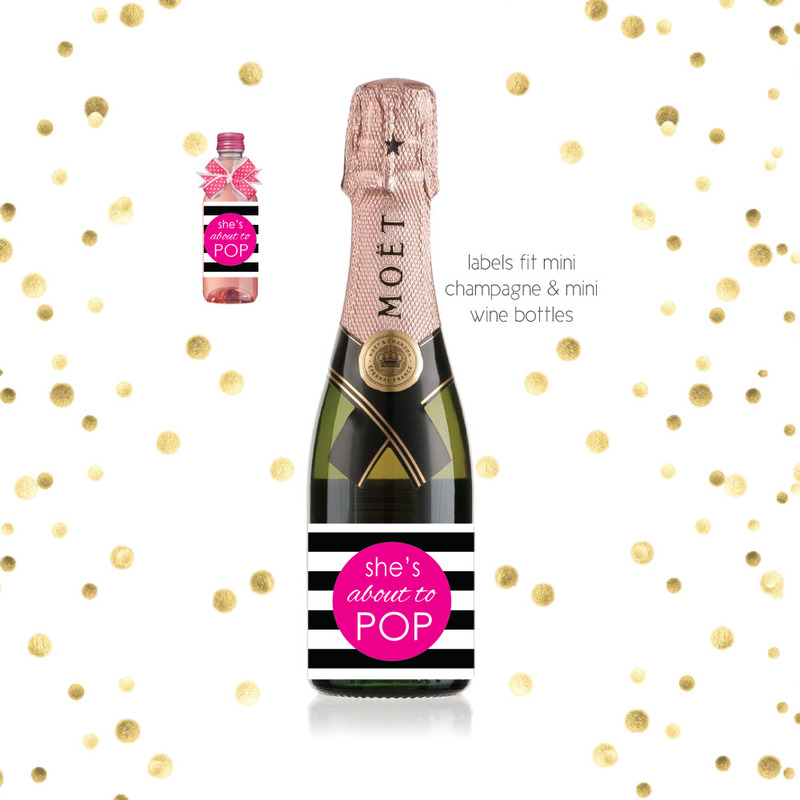 Printable "She's About To Pop" Champagne/Wine Labels. Fit on mini bottles and make the perfect baby shower favor! Sugar Cookies - cookies are fun ideas for baby shower favors! Cut cookies into baby themed shapes such as duckies, booties, a rattle, etc.. Frost and wrap the cookies in cello, tie with a bow and attach the recipe for an added touch. If you're feeling really crafty: put a Popsicle stick into the bottom of the cookie before baking. Use a mini terra cotta pot with floral foam in the bottom and put the cookie on a stick into the foam. 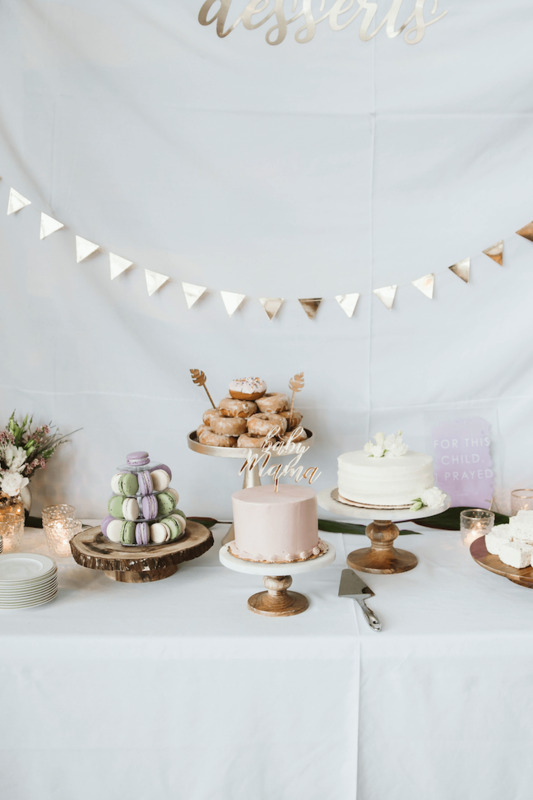 Spread some cute confetti paper or Spanish moss around the base of the stick to cover up floral foam. Wrap up with cello and tie with a bow. So cute and creative! Pass out cute little rubber duckies or green frogs for a simple memento! Mini Picture Frames - Hand out mini picture frames. You can even add a picture of the guest and mother-to-be! Flower Seed Packets - find some "baby's breath" or other baby related flower seed packets. Give them as is or put them in a mini terra cotta pot and wrap in colored cello tied with a bow. Bookmarks: pass out cute bookmarks, either handmade or store bought. A simple and cute idea for baby shower favors! Mini Lotion Bottles - hand little lotions out as baby shower favors. Maybe baby powder scented ones! Candles - wrap pink or blue votive candles in cellophane and tie with a cute bow! Hugs and Kisses - fill an organza bag with Hershey's Hugs and Kisses. 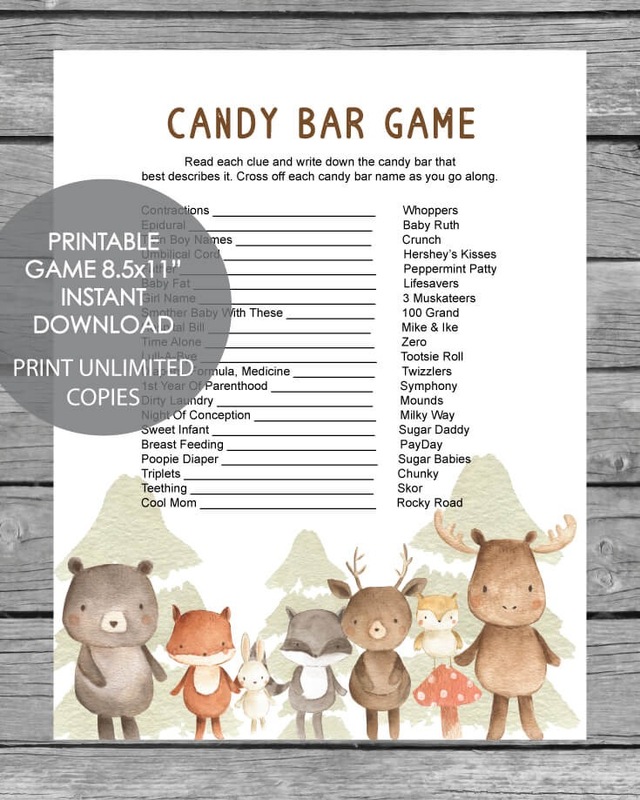 Attach a cute tag that says "hugs and kisses from baby (last name.)" 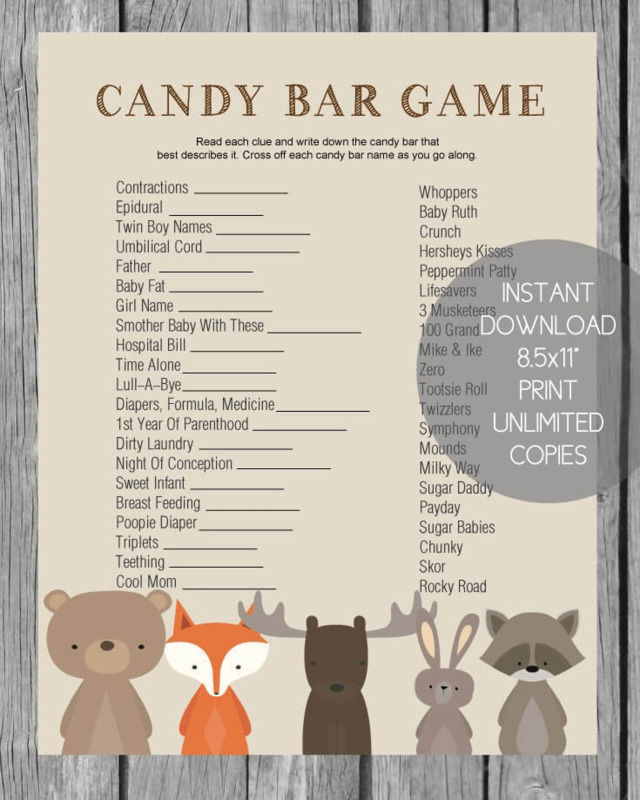 What "sweet" ideas for baby shower favors! Baby Socks - fill little baby socks with candy and tie with ribbon. Mini Personalized Candy Bars - there are several online companies who sell personalized candy bars. 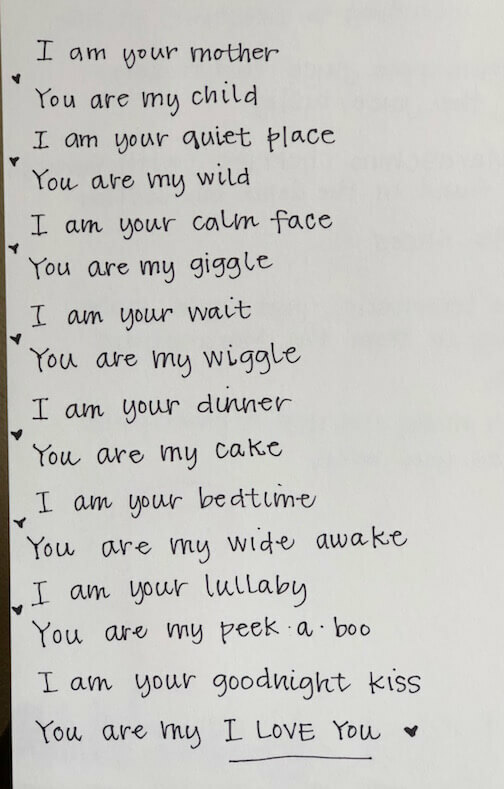 Have some mini ones made with cute baby sayings on them with baby's name, if known. CD's - make a CD full of popular songs and burn one for each guest. Print out CD labels with the shower info on them. This makes for a memorable keepsake! Homemade Chocolates - Don't let the word homemade scare you. 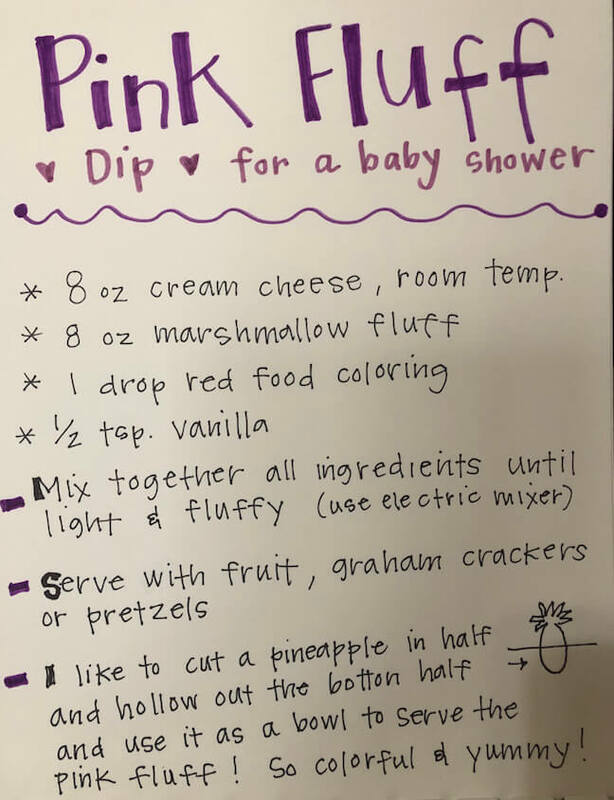 This baby shower favor idea is actually quite simple! Buy some melting chocolates and baby shower candy molds (ducks, bunnies, pacifiers, etc.) at your local craft store. Follow the package directions and viola! Chocolates! Wrap them in a cute bag or cello and you're done. You can also make chocolate lollipops just as easily. Craft stores carry lollipop molds and sticks as well. Tie on a cute little note saying "you're sweet...thank you for coming"
Click here for directions on making paint can favors and more cute DIY crafts! 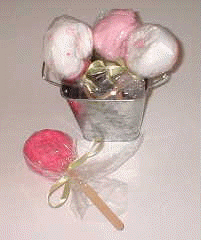 Washcloth Lollipops - This is a fun idea for baby shower favors! We are looking for your Best Favor Ideas (and prize ideas too!) This is one of our favorite topics to write about! 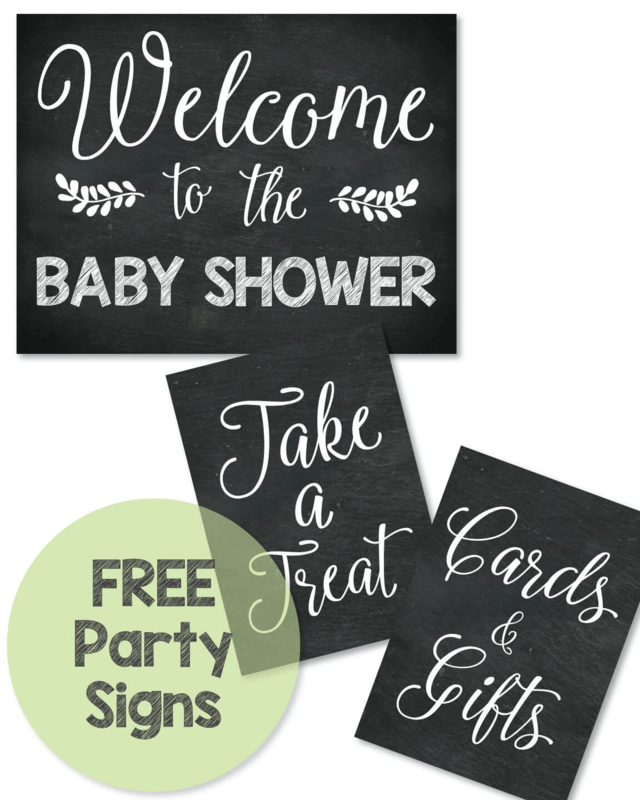 Baby Shower Favors and prize ideas, allow you to be creative, original, and impress guests with your talents! The sky's the limit when it comes to cute favor ideas! If you have some cute ideas to share with us.... we would love it! And if you have pictures...Wow! Even better! 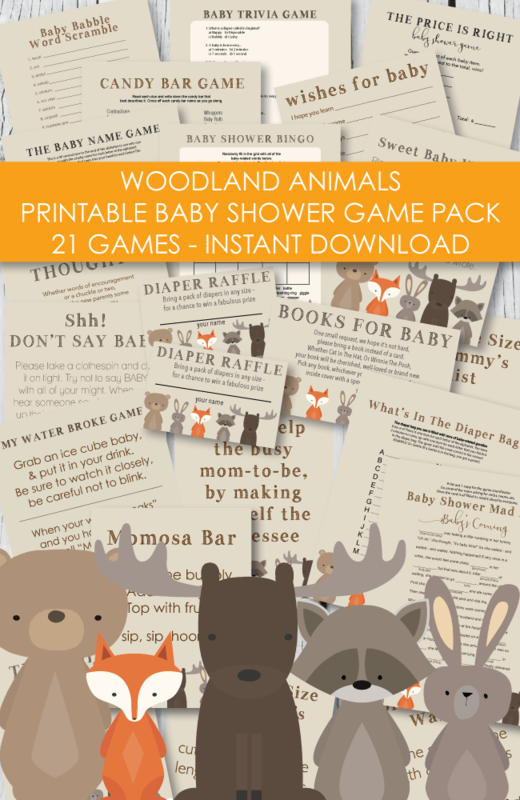 Have You Stumbled Across A Cute Baby Shower Favor/Prize Idea? Share it with us! 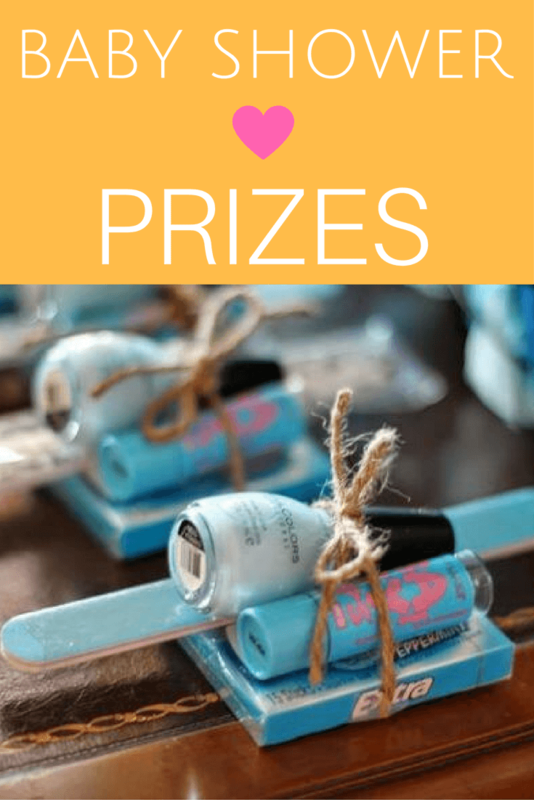 Help out baby shower hostesses across the world by submitting your cute ideas! Or...if you need specific favor ideas and can't find them...ask for help!